5 What is the TmarTn CSGOLotto Scandal? Trevor Martin is a YouTube personality best known for posting various gaming videos on his YouTube channel called Tmartn. He became popular after posting various videos about the “Call of Duty” video game franchise, and he also features other games on a secondary channel. He’s been active on the website since 2010, and also runs a YouTube vlog alongside girlfriend Chelsea Kreiner. He’s been featured in other “Call of Duty” related channels too, and has had other personalities featured in his channel as well. How rich is Tmartn? As of early-2018, sources inform us of a net worth that is at $1.5 million, mostly earned through success on YouTube. His popularity on the website has also led him to other opportunities in business. He continues to post videos on multiple channels, and as he continues his career, it is expected that his wealth will also continue to increase. Trevor maintains a total of three channels; his first channel and the one that brought him his initial popularity is TmarTn, which has over three million subscribers. He mainly focuses on videos relating to the “Call of Duty” video game franchise, which is one of the highest earning shooter franchises in history. He uploads several videos a week, which can earn more than 100,000 views each – his most popular videos have over six million views. His top viewed video is “I Got a Puppy!”, and other videos include “Unboxing My New Hoverboard” as well as “Teaching Cooper How to Swim!” His second channel is entitled TmarTn2 and focuses on video gaming content aside from the “Call of Duty” franchise. Some of his most recent videos include “MW2 Remastered is Real… But They Still Ruined It”, “Black Ops 4 Releases One Month Early”, and “James Harden Wearing Black Ops 4 Hat”. He also maintains a third channel he shares with fellow YouTuber and girlfriend Chelsea Kreiner. The vlog channel is called Trev and Chels focusing more on vlog content. Their videos often get more than 300,000 views and some of their videos include “Falcon Heavy Rocket Launch Vlog”, and “Making Her Dreams Come True”. Their most popular videos have more than a million views, and they include “Surviving Hurricane Matthew”, “PlayStation VR Scare Prank on Girlfriend”, and “Girlfriend Plays Shark Attack”. The success of these three channels has elevated his net worth significantly. He’s also active on other social media sites including Instagram which he has over 600,000 followers. His page often has pictures of his travels, daily endeavors, and pictures of his girlfriend as well as his dog. He owns two Twitter accounts including TmarTn which has over 1.7 million followers. The page posts mainly content about “Call of Duty”, his YouTube channel, or various “Call of Duty” related memes. His second Twitter account is TmarTn2 which has over 77,000 followers and mainly promotes content of his second YouTube gaming channel. Martin was born on 4 September 1992, in Daytona Beach, Florida, USA. He is listed as having a height of 6 feet four inches, or 1.93 meters, with green eyes and brown hair. Prior to starting a career in YouTube, he studied finance during college. What is the TmarTn CSGOLotto Scandal? 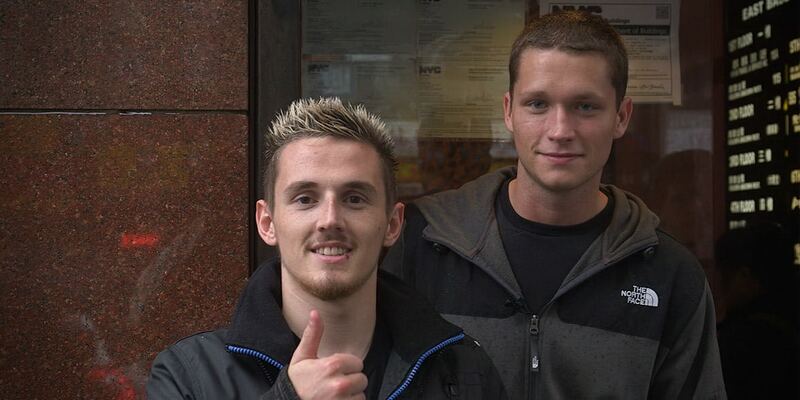 In 2016, TmarTn and another popular YouTuber, Thomas “Syndicate” Cassell, started promoting the infamous “CS:GO” gambling website CSGOLotto. The website allows players of the video game to use real money to try and gamble to get expensive in-game content such as weapon skins. They promoted videos that they were winning on the website, urging their viewers to try their hand at doing so as well. However, they failed to disclose the fact that they were part owners of the website which eventually led to questions and complaints, which eventually reached the Federal Trade Commission (FTC), leading to an investigation of the two, and a possible settlement. After the issue became viral, TmarTn posted a video apologizing for his lack of disclosure on his assets with the website. The settlement order was eventually concluded with no immediate financial penalty, leaving them unscathed after the issue. If deeper violations were found, they would’ve faced civil penalties of up to $40,000.